NEW YORK (WABC) -- Week 5 of the NFL season is approaching, and for the local teams, it's a tale of two opposite results so far. 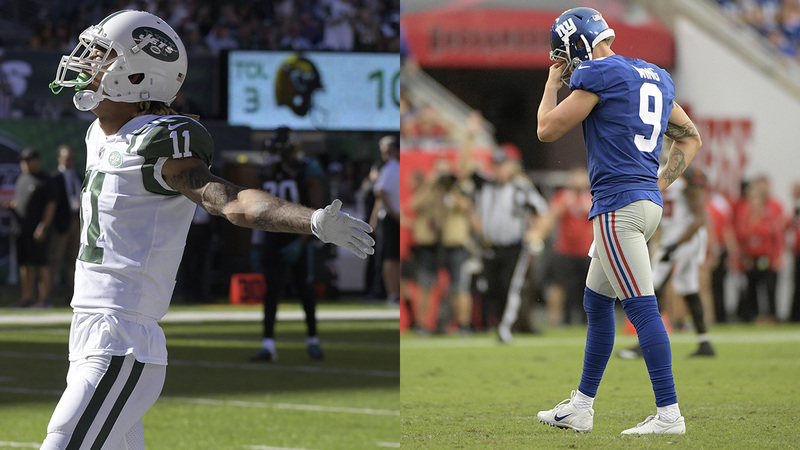 As we head into action this weekend, the Jets and Giants appear to be going in opposite directions. Gang Green has been a pleasant surprise at 2-2, with a game at winless Cleveland on Sunday. But let the warning signals come out, because this is exactly the type of game the Jets have been known to lose. They face the New England Patriots the following week, and they better not be napping on the Browns, who have to think this is one of their better chances to get a win. Good signs for the Jets include a defense that is getting better and an offense that can run the ball. As for the Giants, nobody figured they would be 0-4. But as Bill Parcells would say, "You are who your record says you are." The Giants must get their first win on Sunday, facing a 0-4 Chargers team in the Meadowlands, right? When you look at the season, one has to say the Giants should be 2-2. After all, they lost to Philadelphia and Tampa Bay after holding late fourth quarter leads. This is a team that needs to rely on a defense to close games out, but the Big Blue D has been underachieving. On a positive note, Eli Manning and the passing game seem to be getting their act together. Now, it's time for the entire team to put it all together and get a win.